Human skin can experience a lot of wear and tear over the years, especially on the face. The environment, sun, dirt, cosmetics, and facial expressions all contribute to the damage that becomes visible on the outer layer. 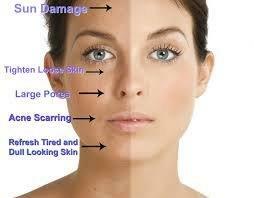 The result is a dull, unhealthy appearance in need of skin rejuvenation. Chemical peels can help patients rejuvenate their appearance with fresh, smooth skin. Superficial chemical peels– do not penetrate below the epidermis, the outermost layer of skin. 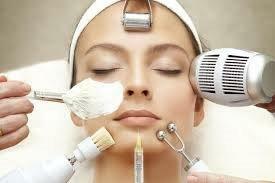 Medium chemical peels– penetrate below the epidermis to the top layer of the dermis, but generally does not go deeper. Deep chemical peels– penetrate to the deepest layers of the dermis. Our experienced staff performs most of the superficial peels while doctor Bitlan specialises in stronger peels to treat more severe cases of ageing, acne and pigmentation. To achieve maximum benefit from a chemical peel, pre-treatment and post-treatment care is essential. This pre-treatment routine is key. It helps the skin heal more evenly and reduces the risks of infection, unusual skin colour changes, and more. At The Beauty Clionic, we typically combine a chemical peel with one or more aesthetic treatments to enhance your results or treat particularly troublesome conditions. Who Should Avoid Cosmetic Peels?